At least two cars were stolen at gunpoint in Gage Park and Brighton Park, police said. 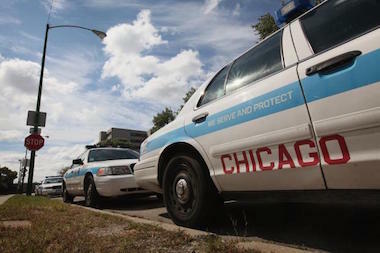 BRIGHTON PARK — Two people were the victims of carjackings in Gage Park and Brighton Park Tuesday, according to police. In the incidents, two armed robbers walked up to people before demanding the belongings and taking their cars, police said in a community alert. The incidents happened about 20 minutes apart, police said. One carjacking took place at 12:51 p.m. Tuesday in the 2400 block of West 55th Street, police said. The other happened at 1:16 p.m. in the 4300 block of South Artesian Avenue, police said. Anyone with information on the cases is asked to call detectives at 312-747-8382.